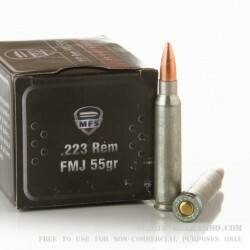 An objective bargain for .223 Remington ammunition for those who understand steel cased cartridges and know that they want to shoot them. There are few drawbacks to steel cased ammo, and none of the drawbacks pose a threat to the safety of condition of your firearm. Steel ammunition is safe and comfortable to shoot out of any firearm. There will be no lasting consequences to your gun’s finish, tolerances or functionality. 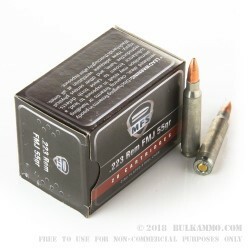 For those who want a bargain on 55 grain .223 ammo, this is a definite contender. 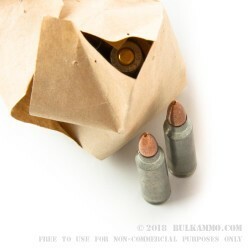 The main drawback to steel cased ammunition is the difficulty compared to brass for reloading. Some see this as a good thing: no drama trying to find spent rounds on the range floor. 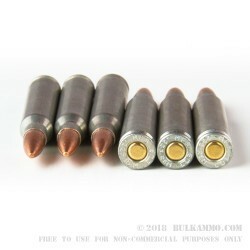 Another drawback is that steel isn’t that great for super high tolerance extraction cycles, or where chambers have very tight tolerances, because it lacks some of the lubricity and flex of the brass cartridge casings. MFS has combatted that by Zinc plating the steel in this load and it helps with feeding, extraction and cycling. Though with most mainstream firearms, these problems are nonexistent even with steel cartridges. Bottom line: of you want a round that shoots reliably, cheaply and moves out of the muzzle at 3125 fps and with just a shade under 1200 ft. ls of energy: this is a very good choice.